Do you have coins that you think are valuable? Coins are the oldest form of currency and have been made from different material; gold, silver, copper, and bronze. The value of your coins largely depends on the age, rarity, and material. If you had a gold coin from the Roman Empire for example, you can easily fetch tens of thousands of dollars. Minting coins in the early times required crafting by hand. This meant that coins were produced in limited quantities. Very old coins from early empires like the Roman or Chinese empires are very valuable regardless of the material they are made from. In the US coin minting was started in 1792. Coin collecting became popular in the 1850s. During the civil war, coins became rare forcing the government to replace some coins with notes. New designs by coiners such as James Earl Fraser and Augustus St. Gaudens brought on more variety. These early coins of the US are collectibles and highly sought after for their beautiful designs. 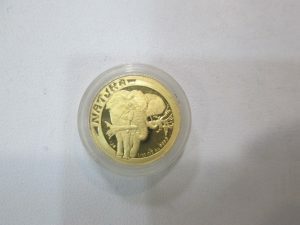 Gold and silver coins: Gold and silver have long been used in making coins. The percentage of the precious metal in determines its value. Some coins like gold sovereigns or the Kruggerrands have over 90% gold. Commemorative coins are made to celebrate an event like the coronation of a king or queen. They are minted in very limited quantities. This makes them valuable for coin collectors. If you are holding a coin from years before 1800, it probably has value. Examples of valuable coins include; Guineas, Sovereigns, Silver dollars, Crowns, Florins, Farthings, Proof coins, Roman coins, and kruggerrands. These are some of the better known valuable coins. However there are hundreds of types of valuable coins from all over the world. The best way of knowing the value of an unknown coin is having it assessed. • Quick cash. you don’t have to wait for a check.